Hello October! It’s that time of the year when you welcome a month and you are already excited about the end of it, since there’s a holiday in it! You get to have fun and play tricks on your friends all night long. 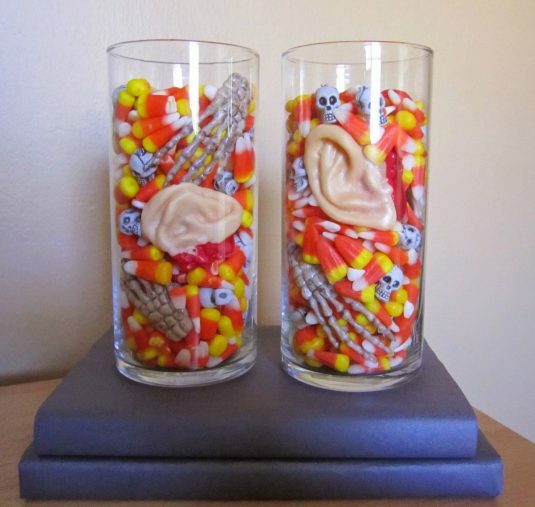 If you are about to host a party on 31 October check out these Scary DIY Halloween Crafts That Will Impress You A Lot. 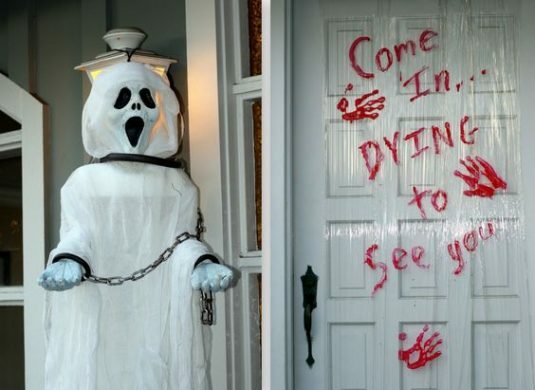 They are going to give you some ideas about decorating your home and yard in some very spooky ways, so don’t miss them. There’s something that will match everyone’s taste, and I believe that you are going to find the designs that will meet your preferences the best. Happy scrolling! There are so many people that are afraid of mice, so why don’t you try to scare them with tons of them on Halloween night? 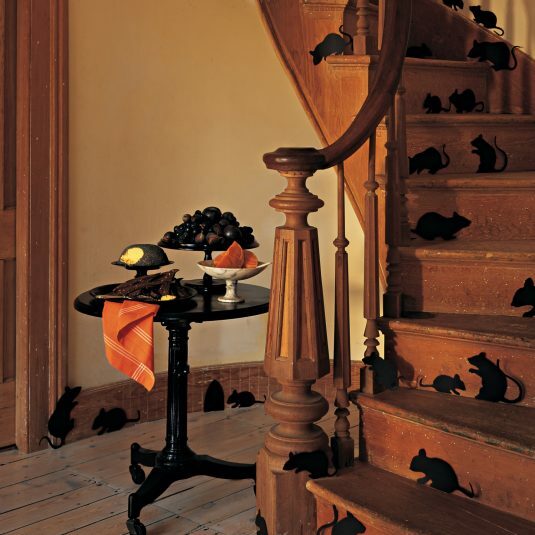 All you have to do is to cut plenty of mice in different poses and shapes and stick them to the staircase. When the light is off they would look like real ones! I’m already running away! There’s nothing better than showing to your friends that this year you have really made an effort to scare them away. 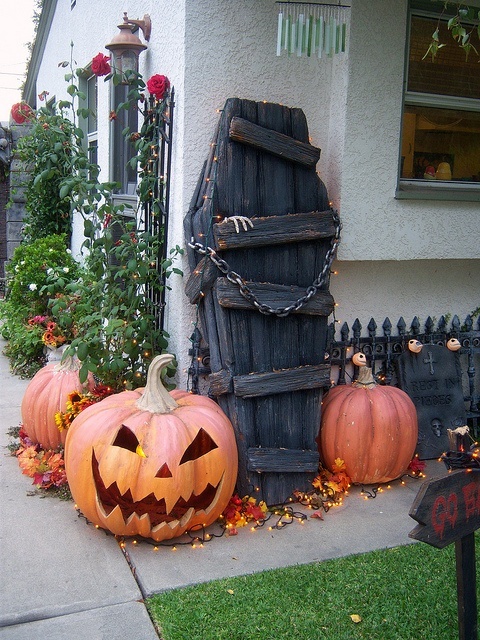 Make a coffin and use it to decorate your entry way. 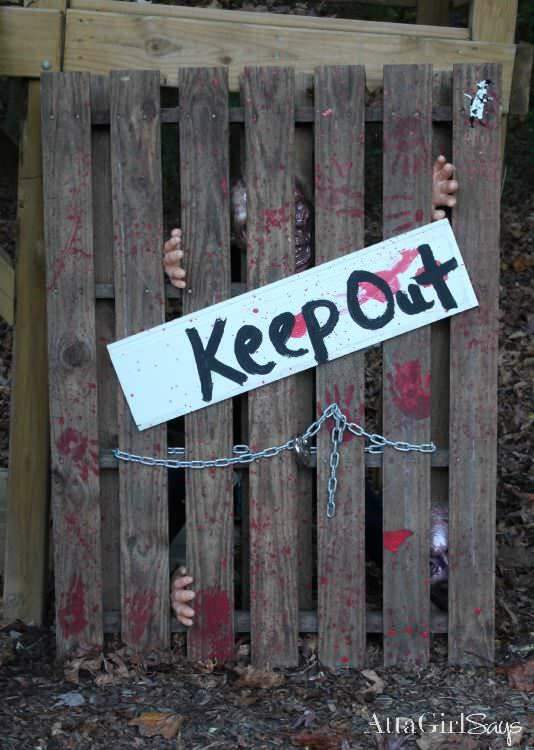 You can also put some bloody fence and add several plastic hands in your yard. Make sure you hang a sign KEEP OUT to warn everyone. 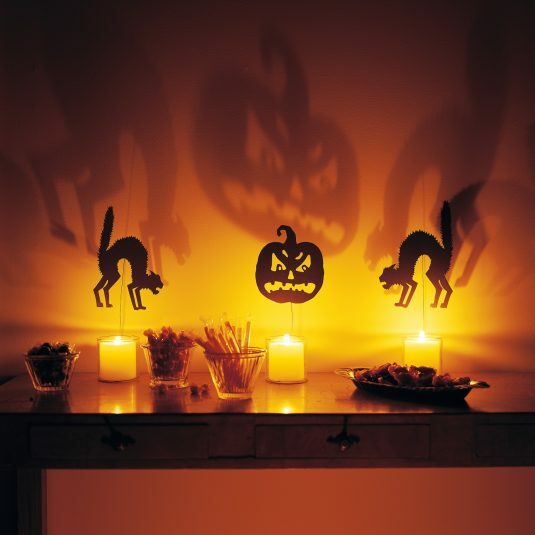 Make this trick and make some shady wall figures with the help of candles. 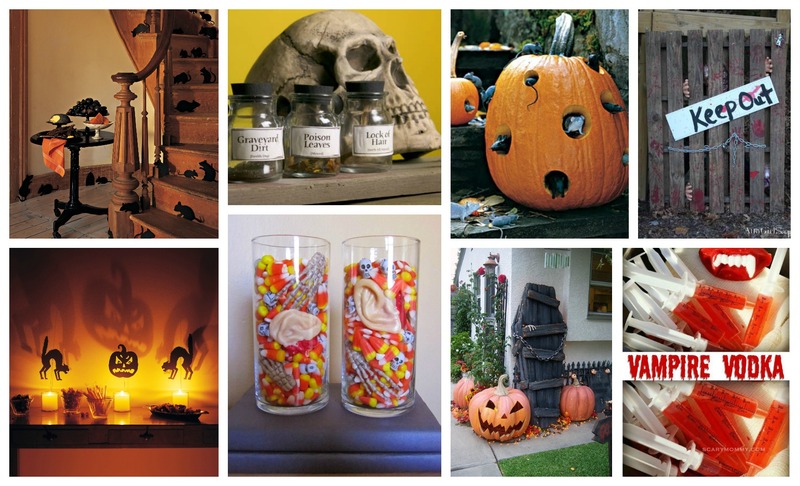 Go to the 1 dollar store and get different decorative pieces that you can put together to make the ambiance in your home spookier. 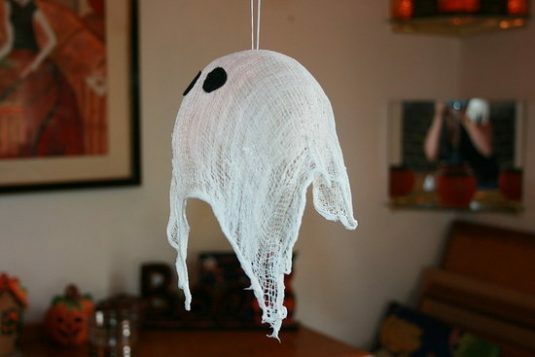 The hanging ceiling lamp can be easily turned into a ghost figure by just covering it with a white clock and making two black eyes on it. As easy as a pie. I really love this decoration since I find it really interesting and easy to make. 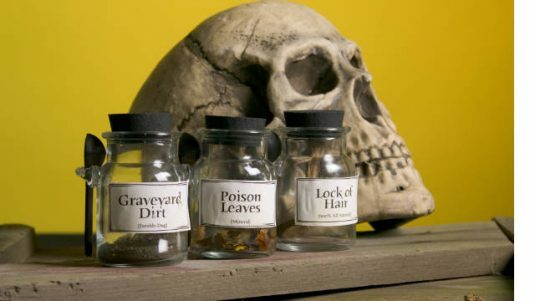 Get three small glass jars and label them with scary names. I bet that everyone’s going to notice them and complement you the next day about the great idea. 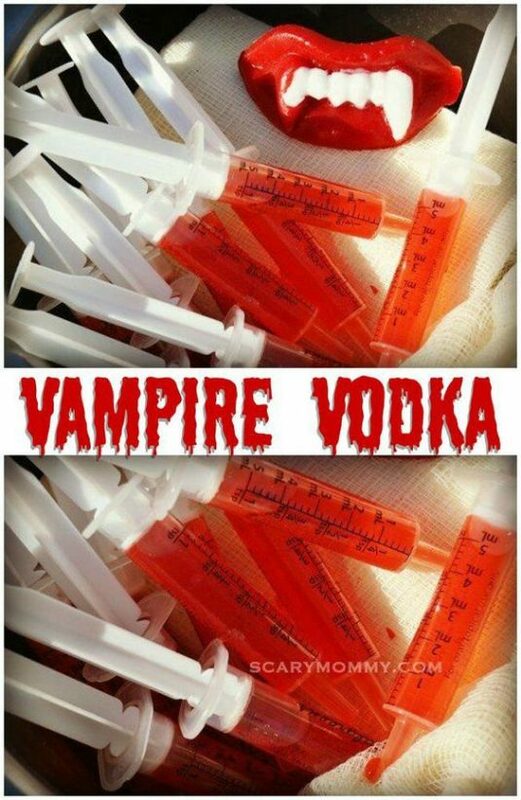 It’s time to serve the vodka shots in syringes. Have you ever seen something like this? There will be lots of Instagram photos, and you are going to take the credits for them. It’s time to get down to work and make some creative and unique designs. Write on the wall “Come in, I’m dying to see you” and make everyone have second thoughts about getting in. 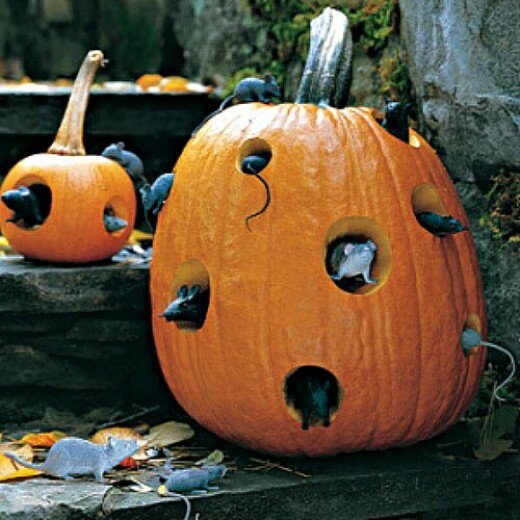 Make some holes in the pumpkin and insert mice. I’m already scared to death. 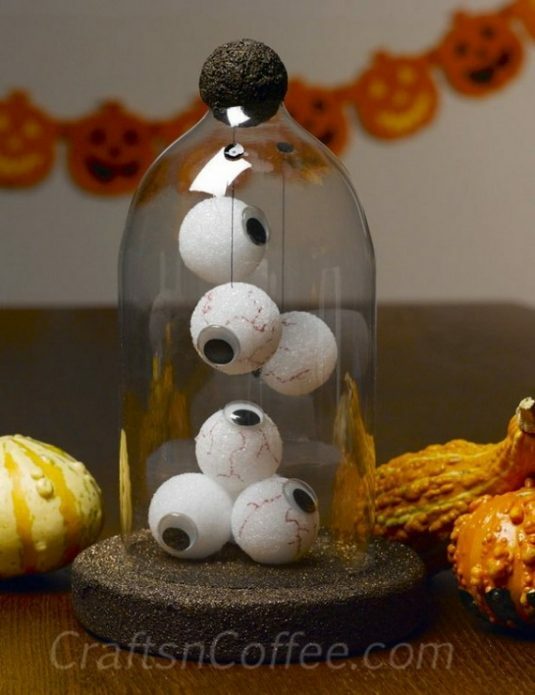 These giggly eyes are another great decoration for the Halloween party! How do you like the DIY ideas that you saw here? They are just perfect if you are living on a budget and you will manage to impress everyone! Let me know what you think!